The Association of Graduate Recruiters recently reported that in 2011, there are, on average, 83 applications for each graduate position. If you’ve just completed your degree and are beginning your graduate job search, you’ll obviously want to avoid distributing a sloppy CV that could detrimental to your chances of success. No achievements. Ok, you’re a recent graduate with little or no experience; however, try and think of a time (either in your personal or academic life) that you could turn into an achievement. For example, you may have prepared and delivered a presentation as part of your course to a large group. Too much fluff, not enough substance. ‘Padding out’ your CV for the sake of it is never a good idea. Try not to worry about the length; 1 page for a graduate CV is fine! Over exuberant CV design. Having a visually appealing CV is always a good idea. However, there’s no need to go over-the-top with colours, images and strange fonts just to attract attention. All this will do is make you appear unprofessional. Unless you’re applying for a job in graphic design job, there’s simply no need for this. No specific focus. If you’re a recent accounting graduate applying for accounting positions, you’ll need to expand on all relevant experience (be it academic or professional). This provides an opportunity to promote relevant skills. Using the accounting example; an accounting graduate could use their experience to showcase their numerical analysis and mathematical qualities improved through a recent work placement. This sounds obvious, but you’ll be surprised by how many recruiters we speak to who say that, in an interview situation, the candidate suddenly remembers experience relevant to the position but didn’t think of including it on their CV! 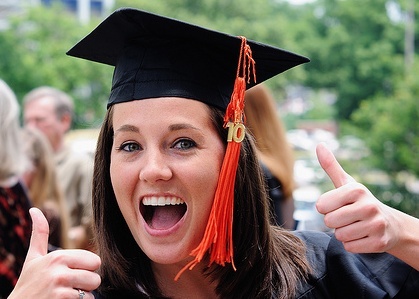 As a graduate, you’re expected to know how to effectively promote your skills and experience. Identifying which skills recruiters are looking for is often difficult. With this in mind, the leading graduate jobs site, Target Jobs, recently spoke with recruiters to find out what they look for in candidates at interviews, assessment days, on CVs and in cover letters. The key points were: relationship building ability, conviction, personal impact, business sense, creativity and passion. Demonstrate these skills on your CV, and you’ll be well on your way to an impressive CV!